A slew of actors remembered Parrikar and called him a "gentleman, intelligent and a good soul." 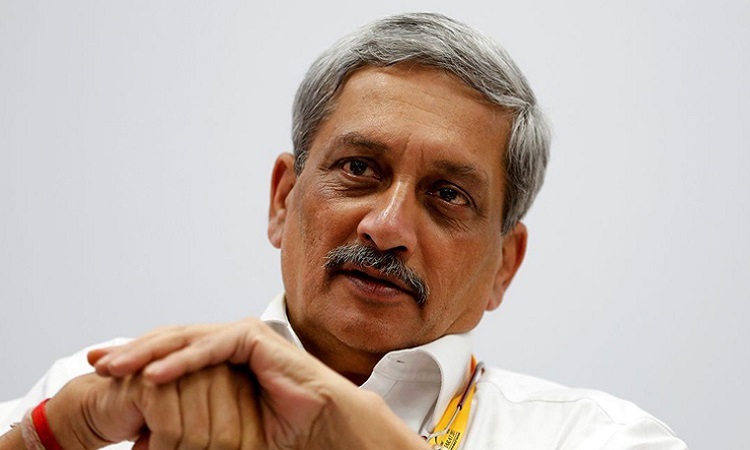 Parrikar died at his private residence here on Sunday evening after a prolonged battle with pancreatic cancer. The condition of Parrikar, diagnosed with advanced pancreatic cancer in February last year and in and out of hospitals in Goa, Mumbai, Delhi, and New York since then, had turned "extremely critical" on Sunday, the Chief Minister's Office tweeted earlier in the day. Amitabh Bachchan: Manohar Parrikar CM Goa, passes away. A gentleman to the core, simple in demeanour and well respected. Spent few short moments with him .. very dignified, fought his illness bravely. Prayers and condolences. Akshay Kumar: Extremely sad at hearing about the demise of Manohar Parrikarji. I feel blessed to have had the fortune of meeting and knowing a sincere and good soul as he was. Heartfelt condolences to his family. Kay Kay Menon: Manohar Parrikar, a fine example of 'simple living, high thinking'. A personality that inspired confidence in every position that he served for the Nation! RIP Sir. Randeep Hooda: Man of few words,simple,epitome of integrity&efficiency,a straight shooter,defence minister,3 time chief minister of Goa, away from the trappings of a person in power, IITian, well mannered, a true servant of the nation, an example to follow for one and all.. Salute Manohar Parrikar. Swara Bhasker: RIP Manohar Parrikar. Condolences and strength to the family in this tragic time of grief. Shankar Mahadevan: A big void which can never be filled. An extremely sad day for India as we have lost one of the finest leaders Manohar Parrikar. My heartfelt condolences and prayers for the family. "There were days when we were pelted stones" Aijaz Khan Kriti and Taapsee RAISE a Greater issue of Credit parity!